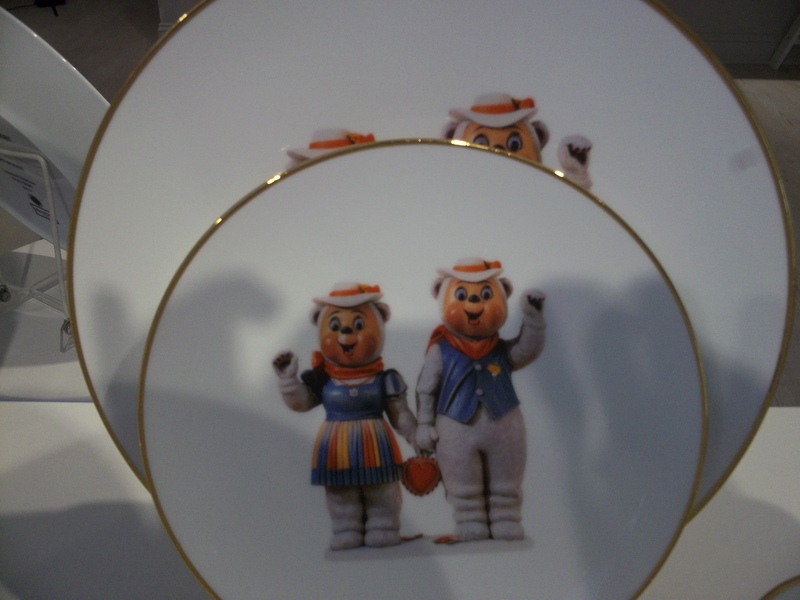 Jeff Koons Banalty Series Comes to Fine Dinnerware! To celebrate their 150th Anniversary, Bernardaud, makers of fine porcelain and other luxury decorative items for the home, has created a collection of tableware designed by filmmakers, photographers and artists including Jean-Michel Alberola, Marco Brambilla, Sophie Calle, Fassianos, Jeff Koons, Michael Lin, David Lynch, Marlene Mocquet, Nabil Nahas, Prune Norry, JR, Sarkis and Julian Schnabel. 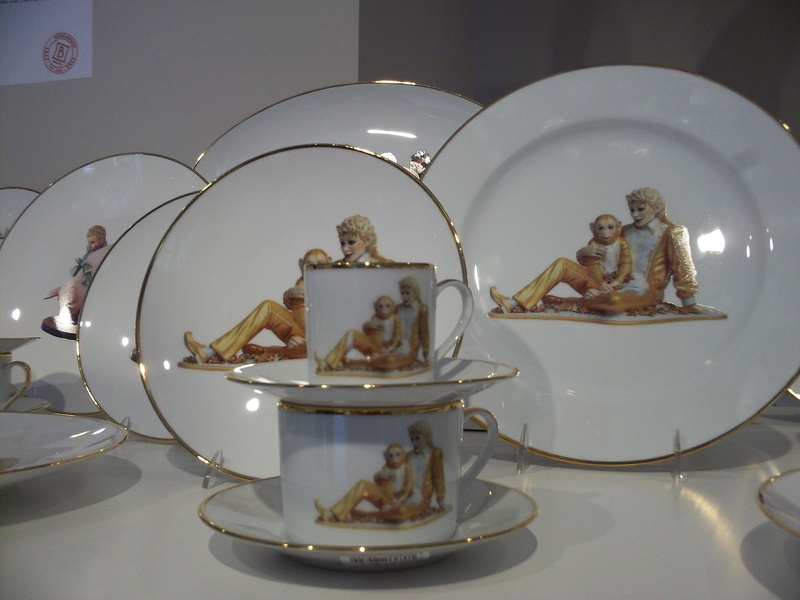 During Saturday’s art crawl, we stumbled upon a boutique that’s opened up in Chelsea, located at 465 West 23rd Street, just east of 10th Avenue, where this design-ware will be on display throughout the summer of 2013. 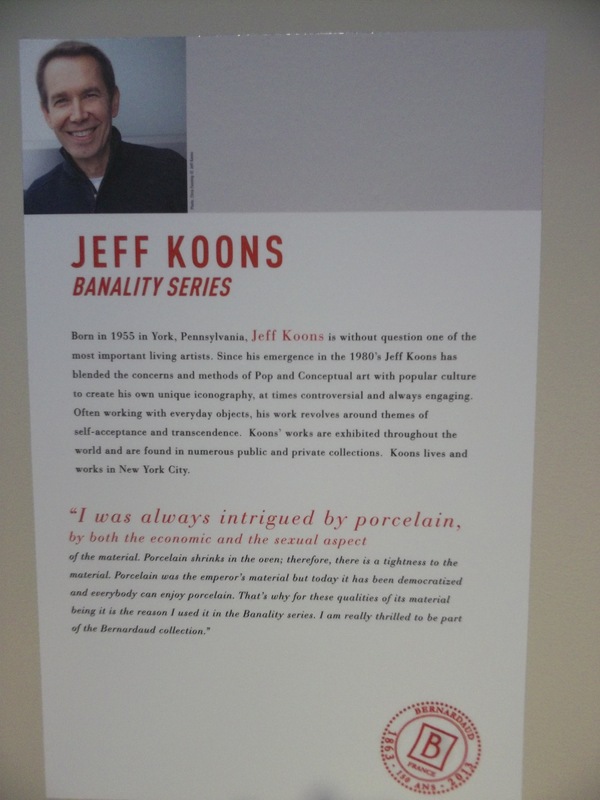 Before we were politely told that no photographs were allowed (of course), we managed to snap a few shots of Jeff Koons Banality Series, based on a selection of his most popular projects. 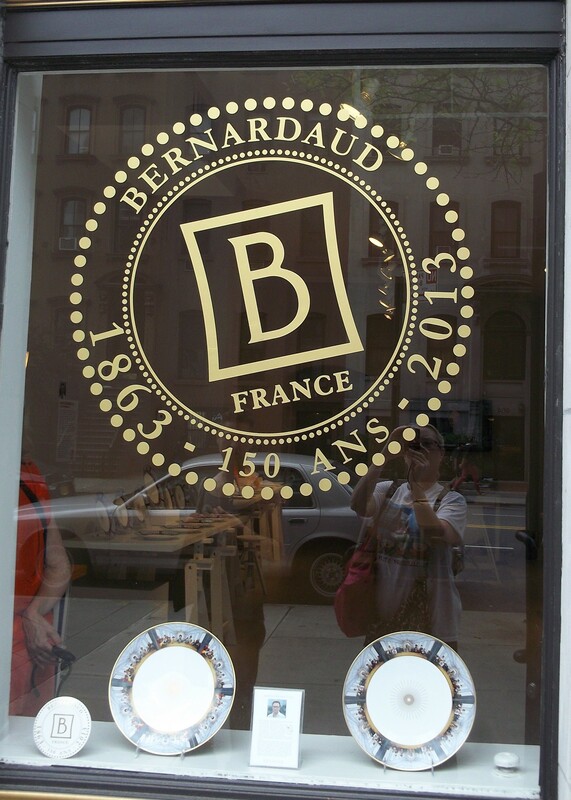 The Bernardaud Pop Up Store is more of a showroom than a regular retail outlet but we’re guessing you can place orders for the dinnerware at the shop (the lady working there seemed very nice) and have it delivered to your home at a later date. It goes without saying that it likely costs a fortune, but what else is money for, if not to surround yourself with nice things? For more information, and to see designs by the other artists, visit Bernardaud 150. I hope they do the “Made In Heaven” series on plates. That would be so excellent!